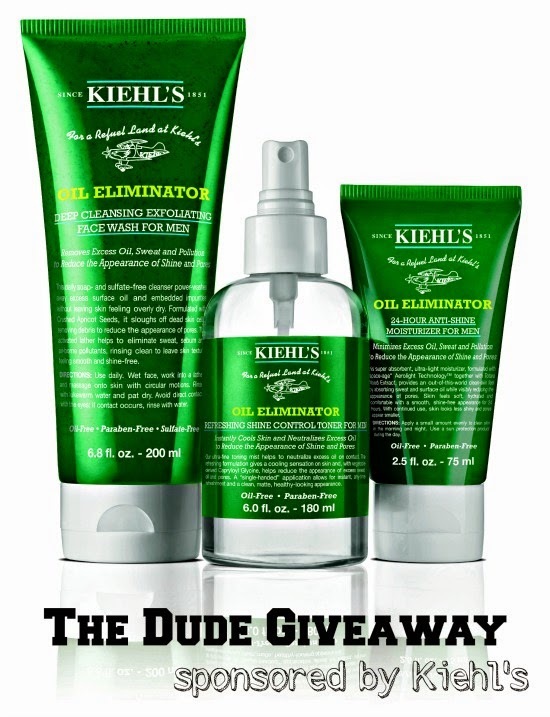 The Dude Giveaway Sponsored by Kiehl’s. We all know that ladies don’t sweat…we glow. But guys? Now that’s a different story 😉 Ok gentleman, this time the giveaway is for you! The new Kiehl’s men’s line includes this trio of Oil Eliminator Facewash, Shine Control spray, and 24-hour Anti-Shine Face Moisturizer (97 CHF value). This stuff is husband-tested and approved (in the 33+ temperatures on the Mediterranean nonetheless). You may sweat this summer, but you don’t need to be shiny–these products help control excess sweat and oil that usually build up when the temperatures start to rise. So, how to win? Leave a comment below telling us about which summer activities you are most looking forward to! We will choose a winner by Thursday 12 June. Good luck! Note: Although this giveaway is sponsored by Kiehl’s, all thoughts and opinions expressed our entirely our own. Our families use Kiehl’s products because of their quality and effectiveness. This Summer I'm most looking forward to the arrival of: THE FLOATING ISLAND, an 8 seater floating party island which has a central area for drinks and music (and a dog). For the month of August myself and my friends shall be floating around the lake generally loving life. Hopefully with smiley but not shiny faces. We're looking forward to a summer trip to visit his family in Scandinavia, and then journeying halfway across the world to east Asia to visit my family! With Asia being almost 40 degrees and all that travelling, he definitely needs some anti-shine! I am looking forward to doing loads of volunteer work this summer. I run a charity which takes the winnings from any contest and uses them to help people in need*. Currently I am imagining a booth by the lake where people with overly oily skin can come and try out some skin care products and potentially get new jobs and turn their lives around, like that war veteran viral video, but without the Burger King arrest that followed. *Existence of charity and amount to be donated may be exaggerated. Looking forward to swimming with my pug! There's a lot to do this summer. I want to swim in the lake, of course, but I also want to keep an open ear for what other's like to do during the summer. I am definitely looking forward to visiting my family in the US of A this summer. I'll be going to Texas where I'll be eating TexMex, Atlanta for barbecue and New England for fried clams. After all of those greasy foods for sure we will need some anti-shine products!!! My summer is going to be.. I'll have a 100% swiss summer! Hooray. I`d like to thank my friends, family and everyone I know for putting me here today. I couldn`t have done this without you. Well, maybe I could…but thanks anyway. This is an outrage! I'm disassembling my charity. I hope that's a word. I will have the fine people know that the aforementioned dog and floating island are my personal property and this 'Aidan Kirby' is piggybacking on my success. Shame on you. Would Mr Hamilton like a tissue to wipe the sweat from his exasperated brow?